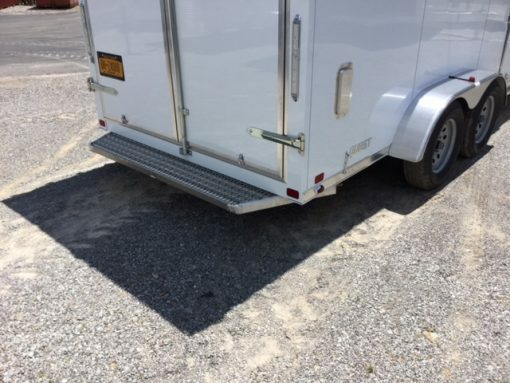 Custom aluminum step added to the rear of enclosed cargo trailer. Installed on 2015 ATC Quest series. Made and installed by Davis Trailer World Service shop. Custom steps can be installed on most cargo trailers both aluminum or steel construction. The step is made from “deck span” with a very aggressive traction surface to protect you from slips and falls.